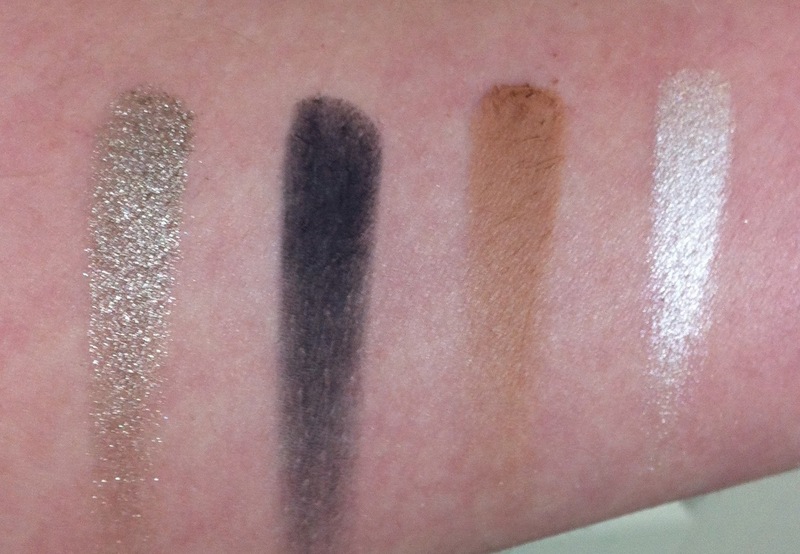 I am enjoying the Kat Von D Chrysalis palette immensely. 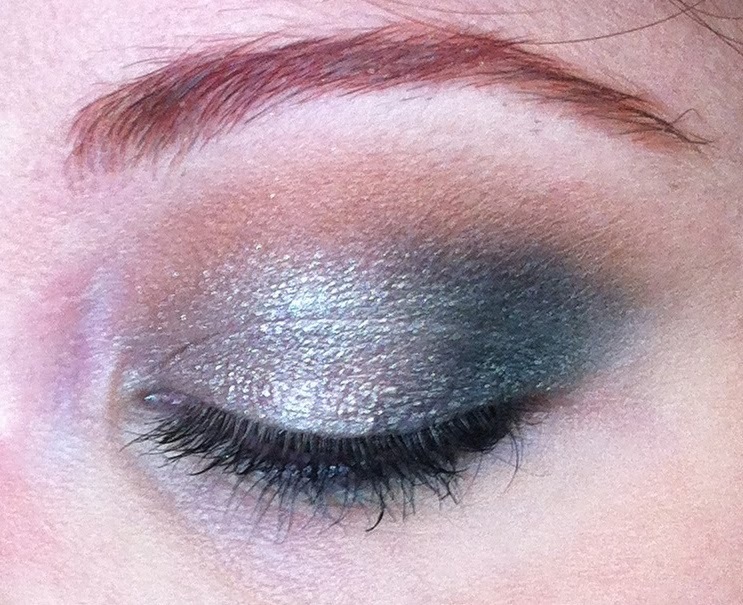 Today I used some of the silver colors, along with the warm dark tan and the dark (almost black) matte navy blue. You can see a wee bit of sparkle on the outer corner. 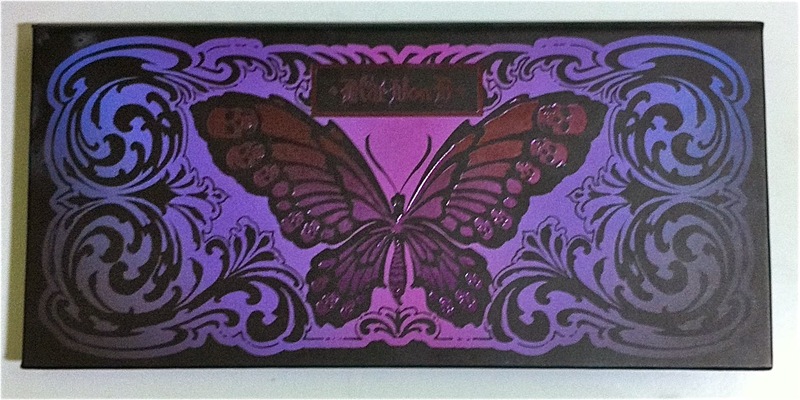 I can't quite get over the awesome packaging of this palette. Those are skulls on the wings. I just ordered this palette today!! I can not wait to get it in!!!! BTW!! 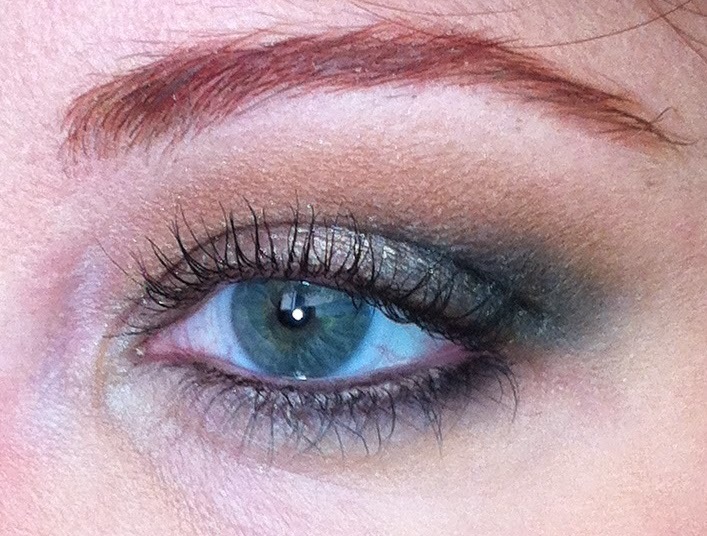 Great eye look! You always do such a beautiful job. 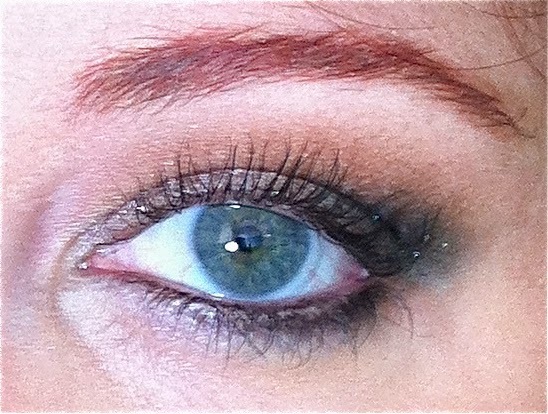 I am trying to make it a goal to do at least one Eye Tutorial on my blog once a week. Thank you for the inspiration!! I use LORAC Creamy Brow Pencil in Auburn. I like the color of it. It seems like almost a platinum color because it isn't a cool-toned silver. So soft and buttery, too! I'm going to try to do more actual tutorials, although I'm not always sure how my makeup is going to turn out when I start! I hope you love the palette as much as I do! Very nice! I've never tried Kat Von D, but this looks very pretty. I love those metallics. 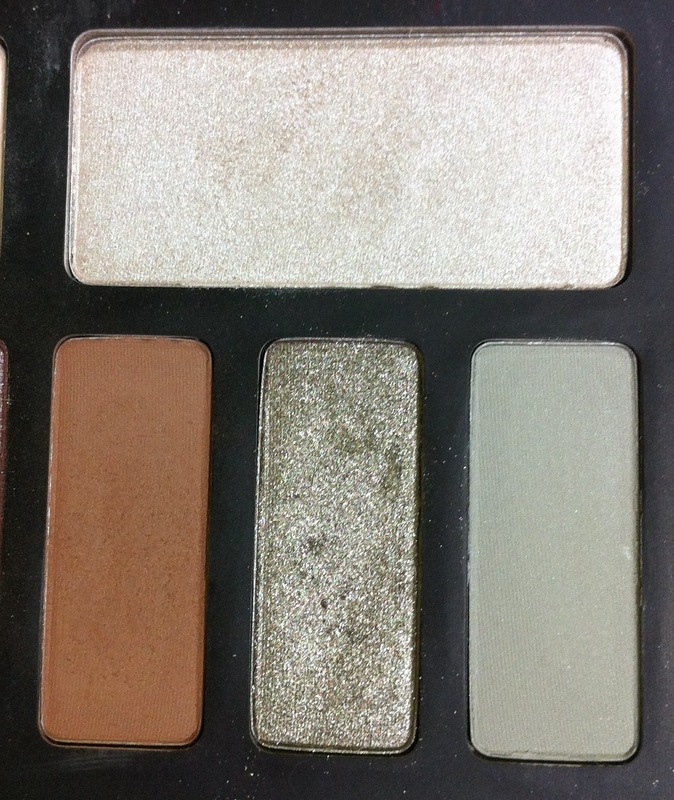 The metallics in this palette are really impressive.